I started writing this story at 11.56pm on the evening of my arrival back into Australia, after a holiday equivalent to the experience of riding a rollercoaster at Dreamworld. The combination of suffering from jet lag, readjusting to the time difference, and the beat of the “dooff dooff” music wafting down the road from the local tavern, prevented me from free falling into a cozy slumber on my soft and comfortable bed, which I had been longing for and dreaming about since my first night in Kuala Lumpur some 5 weeks earlier, after spending a particularly rough night on a lumpy mattress. The following 35 nights that followed the lumpy mattress incident, included sleeping on wooden planks in sleeper trains, sleeping upright with a sideways twist on broken chairs on freakishly old and rusty overnight buses, squeezing five people onto two double beds and renting rooms boasting cockroach nests more cozy than my sleeping space! Alas, I digress, all my negative emotions regarding the budget sleeping arrangements now expelled, let me invite you to share a journey of adventure and discovery about a country that confused me, intrigued me, delighted and inspired me, and managed on numerous occasions, to make me laugh and cry all at the same time – India! This is the first in a series of travel stories about my holiday spent backpacking with four of my teenage children around India for a month. I intended to write these stories leaving out the bulk of irritating squabbles and arguments that permeated our lives during that time, and report only the most vivid and exotic travel anecdotes. However, it was both these altercations combined with the dynamics of our personalities which was the catalyst that contributed to creating the chaotic and crazy memories worth remembering and sharing. Therefore, I am excited to expose the good, the bad and the ugly about our intrepid traveling team, and tell it like it happened. Whilst they may appear to be a series of ‘is that even possible’ fiction, this is a true story of the entertaining and multi-faceted insight into the trials and tribulations of backpacking as a family group in India. When we started planning and researching our trip to India, I found plenty of travel stories about backpackers, telling travel stories with anecdotes about run ins in bars with pimps and drunks, then there were the books by older single women embarking on their own private “Eat, Pray, Love” escapade, and finally a myriad of books that were written like a lonely planet guide, go here and stay at this hotel, but nothing about the thrills and real experiences of travelling with teenage children. I did NOT want to read a glossy travel brochure or an instruction manual on how to get from here to there. I craved to know and understand how the “real India” worked and how it felt to BE in India. I wrote these stories to share the diversity of India through five different sets of eyes and provide insights on many different levels. Whether you are planning to travel to India alone or with children, wish to relive your own past experiences, or are an armchair adventurer seeking a fanciful experience. My desire is that our story will inspire you. Let me start by introducing introduce you to my family…. 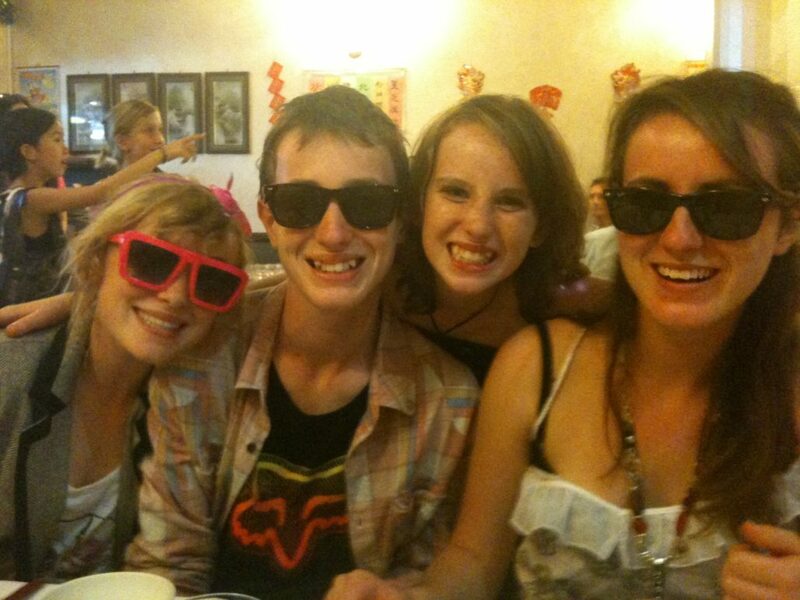 My eldest daughter, Maddison (19yrs), my son, Jack (17 yrs), and daughters, Matilda (15yrs) and Adelaide (13yrs). This journey started one afternoon not long after I had received a tax refund. I had been browsing through my emails when I came across a subject line ‘Special Deals’ from Air Asia. I checked the options and was super excited to find, it may just be possible to take everyone on a mini holiday. As a single mum with five children, money was often tight and we did not have a lot of stuff, however, travel has always been one of my highest values, even if it means travelling on a shoestring budget, which it generally did, but hey, we were used to that! !